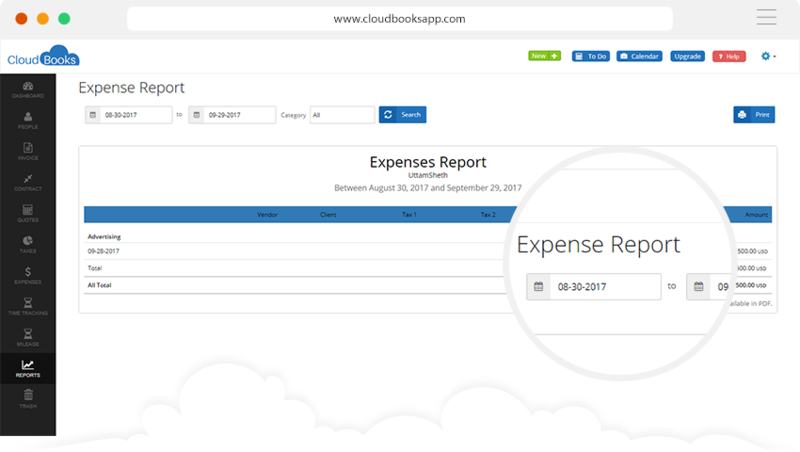 Get a comprehensive understanding of your business and its performance by looking at detailed reports in areas like expenses, timesheet, receivables and much more. 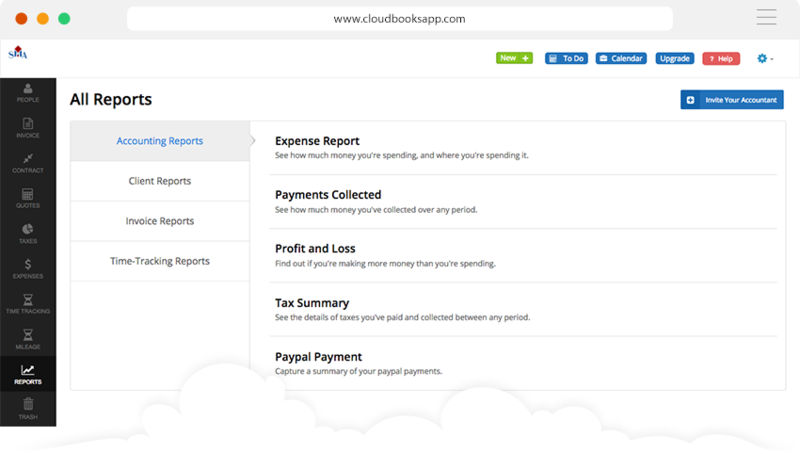 Get power-packed reports for a range of business activities including expense, invoicing, profit & loss, payments collected, revenue by client, invoiced tasks and team time-sheets. 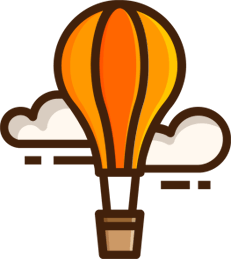 You what is happening with your business at any given time. Worried whether your business is earning more than it is spending? Concerned whether your invoicing is on track or not? 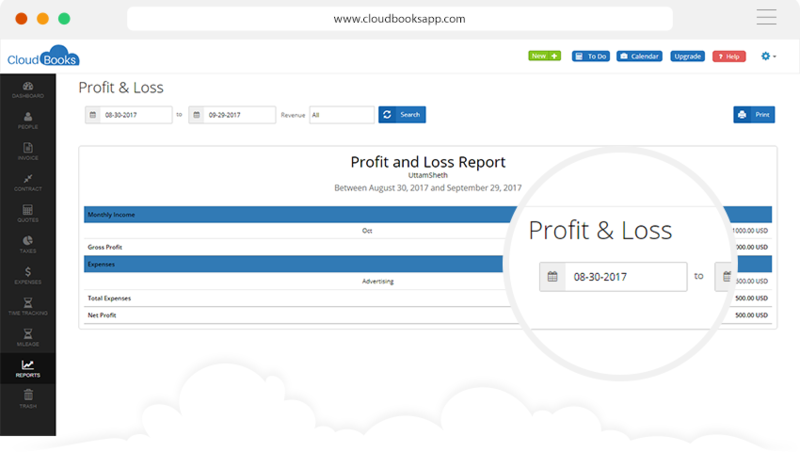 CloudBooks answers these and many other questions that tell you whether your business and its activities are on the right track or not. A business is all about its numbers. 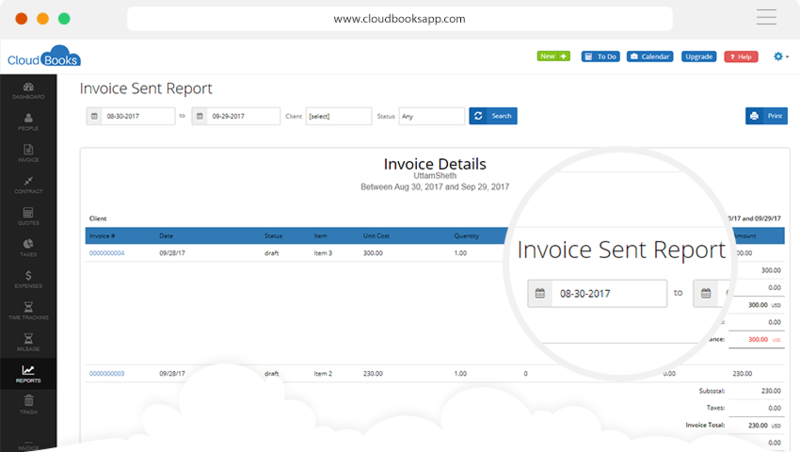 CloudBooks makes the important numbers about your business easily accessible and you can take a look at them whenever you want to. It helps you keep one eye on managing your business and another on profitability. 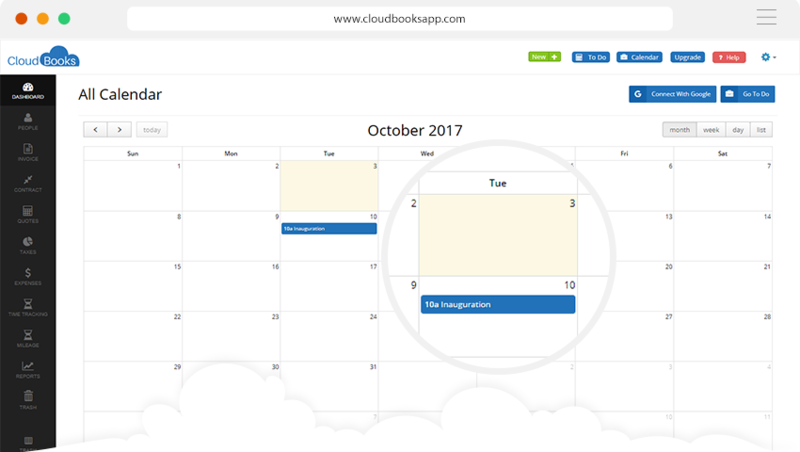 CloudBooks calendar is easy to use and powerful enough for the most demanding scheduling for your daily, weekly, and monthly appointment, meeting, event and much more.